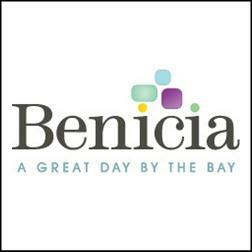 The Benicia Certified Farmers Market opens its 27th season on Thursday, April 25th from 4-8pm (April-August) and 4-7pm (September-October). Located on First Street between B and D Streets, the seasonal market will run through October 24th, offering farm fresh produce and fresh cut flowers along with arts and crafts vendors, specialty foods, baked goods, and numerous gourmet food vendors. Children can enjoy activities like face painting and the inflatable bounce house on the First Street Green.